"I want to see a safer space for women who travel alone." As an artist, Nupur Saraswat has been travelling around India for her shows. However, when the 22-year-old NRI from Singapore arrived at her hotel in Hyderabad on Saturday morning, she was told that single women travellers are not allowed to stay there. 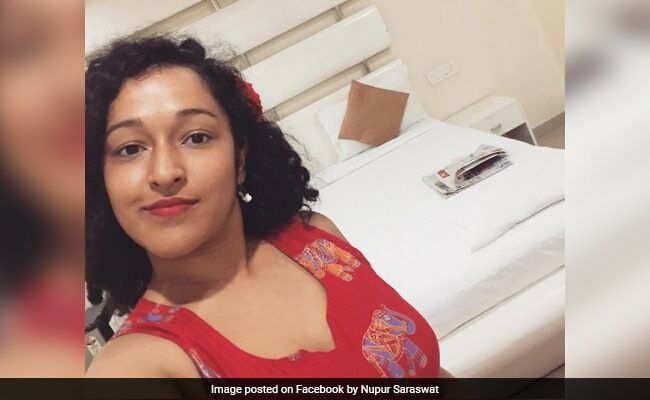 "So, I am standing outside a hotel in Hyderabad which didn't let me stay because they realized I was a "single lady" even after confirming the online booking," wrote Ms Saraswat in her Facebook post which has gone viral with over 1,000 shares and 1,600 reactions. The hotel's official policy reportedly states 'Single lady not allowed,' according to a screenshot uploaded by Ms Saraswat on Facebook. Following this, in a series of tweets, she questioned travel portal Goibibo on how her booking went through if the hotel in question did not allow single women. Here's my question - why do you ask my gender and number of people if not to have a filter to avoid this. Speaking to NDTV, Ms Saraswat said that a representative from Goibibo reached out to her and assured her that they would put better filters on their website and are looking into the incident. They also gave her a complimentary stay at a different hotel, one that does allow single women. Reacting to NDTV story, CEO Ashish Kashyap shared a statement on Twitter which said that they take such issues very seriously and have delisted the hotel pending investigation. Here's the news - WOMEN TRAVEL SOLO NOW. I bet deepika does too? So why hasn't your app caught up with this trend? What if I had arrived at 11 PM? Would they still consider me safer in the streets than in the hotel? "I want to see a safer space for women who travel alone," said Ms Saraswat to NDTV. "There are also those who have tried to silence this by asking "why are you making a fuss if it's clearly stated in the policy?". Well I am making a fuss because I am not ready to settle. I am not ready to live in the fear of my safety anymore. I am not ready to have an entire system push me around until I "find a man to travel with", she added in a new Facebook post.